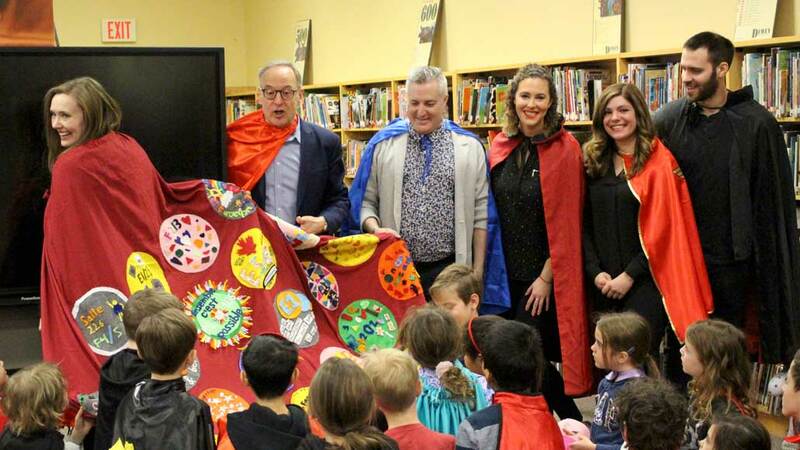 Sandra Hawken, CEO of Holland Bloorview Kids Rehabilitation Hospital, receives a cape made by the students and teachers of Northlea School as part of their Capes for Kids Fundraising and Awareness Program. MP Rob Oliphant also took part. The capes function as a visual cue to help spark conversation around childhood disability and inclusion.